There is nothing quite like watching 4th of July fireworks down by the Pacific Ocean. With that being said, there also comes the craziness of trying to find a parking spot, high rates at coastal hotels, and the overall chaos. Don’t let all the minor headaches ruin your plans for the 4th. Our hotel is only 15 minutes inland of the majestic blue, and celebrations that are taking place throughout the coastline. 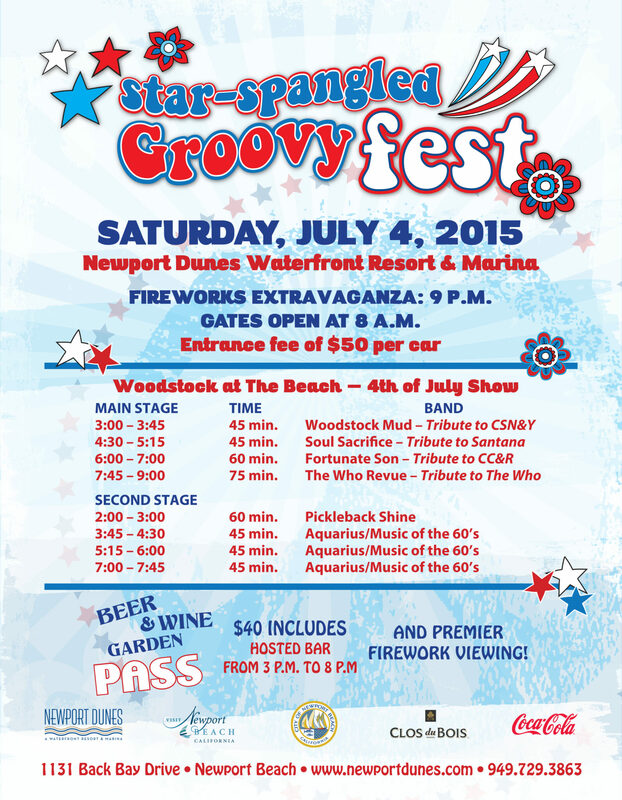 Leading up to the fireworks, our Newport neighbor’s at the Newport Dunes are hosting a Star-Spangled Groovy Fest​. Featuring live music tributes, a Beer & Wine garden with hosted bar, and sponsors like Coca-Cola and Clos du Bois, this location becomes a top destination for a VIP firework viewing experience. Gates open at 8 am, so get there early for a fun filled day at Newport’s Woodstock at the Beach! The options are endless for 4th of July activities in our beautiful city of Irvine, and surrounding areas. No matter what you decide to do, we want to complete the full celebration experience, and make your Orange County stay superior. Call us at 949.833.2770 or visit us at www.atriumhotel.com.